Architect: The Architectural Team, Inc. Scope: New construction of a 71-unit rental apartment residential complex that features 53 affordable units plus 2,100 square feet of commercial retail space. Resident amenities include a common room, fitness center and 54 vehicle parking spaces. The project is a transit-oriented development that was created in response to the Washington District Master Plan, initiated by Lynn Housing and Neighborhood Development. The start of construction at Gateway Residences marked the end of a nine-year planning, permitting, and financing effort and the realization of a long-awaited development link in a corridor along Washington Street that will help connect downtown Lynn to its waterfront. 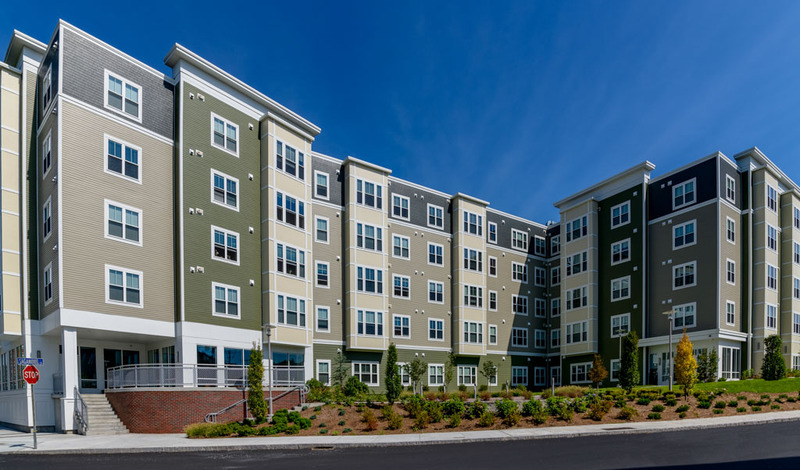 Gateway North was the first development funded under the state’s $100 million Workforce Housing Initiative, designed to serve working families that do not qualify for established affordable-housing programs.